From our Leather Series, this stainless steel watch is housed in a 38mm case, and has a three-hand date Japan movement that is water resistent up to 30 meters. 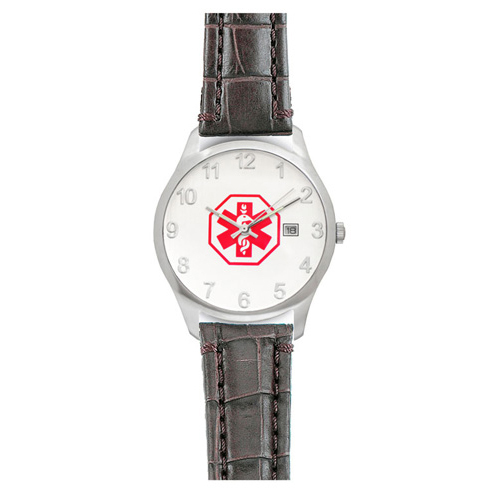 All Doc Tock watches also boast a hypo-allergenic caseback and buckle, and the caseback itself is engravable. Here, it is accompanied by our brown crocodile leather watchband. All Doc Tock watches come with a warranty, a medical alert wallet card and signature reusable metal box.